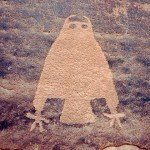 Visit and learn about petroglyph and paleontology sites in the Moab area. Enjoy the beauty of Arches while gaining a deeper understanding of place. 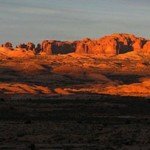 During the Naturalist Tour of Arches National Park, you’ll enjoy the beauty of Arches while learning the natural history of this landscape. Join us for this popular van tour with a CFI Naturalist-Guide and learn about the park’s history and environment through short hikes to a variety of famous arches. Includes Delicate Arch Overlook and the Windows area or other locations depending on your interest and abilities. We will conduct the trip for one person or up to 10 people in our group.